Advanced system Care is a very popular windows optimization tool created by Iobit. It is used to improve computer performance and speed. Now Iobit launches Advanced mobile care for Android devices. 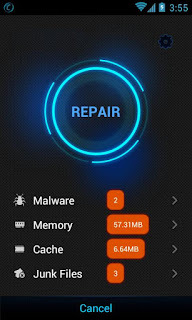 Advanced Mobile Care designed to boost Android Performance and Remove Malware Threads. It supports Android 2.2+ devices and available from 10 more languages. Advanced Mobile Care provides you with one-tap solution to protect and clean your mobile. 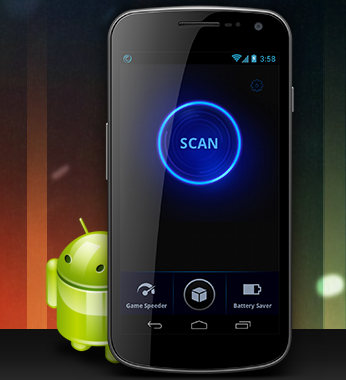 A tap on the Scan button will scan malware and clean memory, cache and junk files for your mobile. Advanced Mobile Care also provide five other comprehensive tools to help you deal with common Android-related problems, including Game Speeder, Privacy Locker, Task Killer, Battery Saver and App Manager. 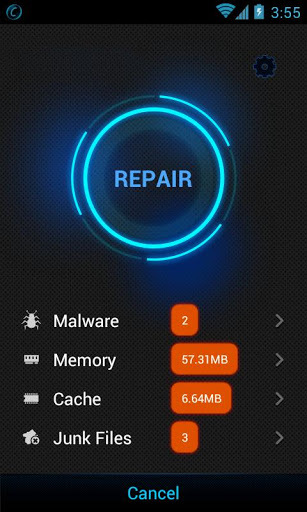 One tap scan: To remove malware treats and clean memory, cache and junk files to boost your phone's speed. Game Speeder: Launch games with Game Speeder can make games run smoothly without any disturbance. 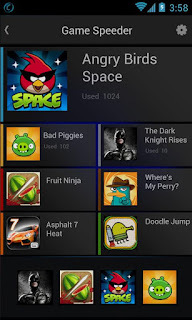 App Manager: Uninstall apps or transfer apps to SD card. It can sort all apps by name, size or use frequency to identify large or unnecessary apps for removal. Battery Saver: Provide 3 battery save modes to extend battery life as well as inform users about which apps consume the most battery power. Task Killer: Easily kill battery & memory hogging apps with simple one tap to release memory. Privacy Locker: Hide and lock your private photos, videos and files with a password from spying eyes.